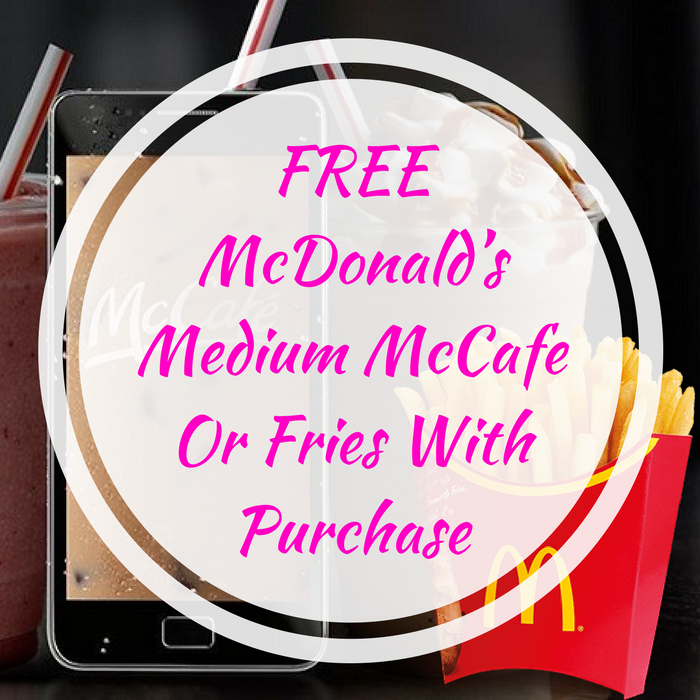 FREE McDonald’s Medium McCafe Or Fries With Purchase! You are here: Home / FREEbies / FREE McDonald’s Medium McCafe Or Fries With Purchase! Until April 29 only! McDonalds is offering FREE Medium McCafe Drink with any $1 Mobile Order! PLUS, you can also get a FREE Medium Fries on Friday with any purchase via mobile order and pay. All you need to do is simply download the FREE McDonald’s App and click on “View Deals” tab. From there, you can customize your mobile order, apply the coupon and pay. That’s it! Please note that this FREEbie is only valid once a week up to April 29th.